The Heavy Duty Cordura D-Ring Carrying Case comes with an embroidered Folding Firebox logo and an extra pocket. 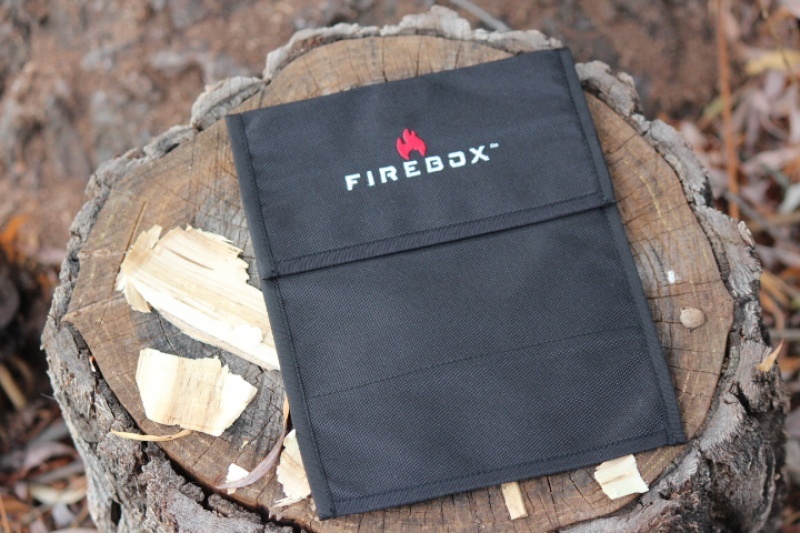 This is our premium carrying case and organizer for your 5″ Folding Firebox Campfire Stove and accessories. It is made of extremely tough Cordura and all edges are trimmed out beautifully. Purchase through PayPal by using the "Add To Cart" button above or use the form below to order the Folding Firebox Stove Cordura Bag . Feel free to contact us if you have any questions about the Folding Firebox Stove Cordura Bag .